MoMo grew into the largest mobile wallet provider in Vietnam by offering a better user experience and forging early partnerships with incumbent players. Vietnam is currently the fastest growing retail banking market in Asia with an expected compounded annual growth rate of 25% from 2016 to 2018. It is also home to more than 20 fintechs in the online payments sector. More than 90% of payments are being made through cash, but changing consumer preferences are fuelling a growth of card based payment instruments. For instance, the credit card industry has grown from 2.1 million to 5.2 million credit cards between 2011 and 2016. Asian Banker Research expects that by 2018 more than eight million credit cards will be in circulation. According to the State Bank of Vietnam, there were approximately 1.84 million electronic wallet users with a total trading volume of $1.1 billion at the end of 2013. But by 2016 this figure has grown to three million wallet users. Total number of wallet users is expected to cross the 10 million user mark by 2020 (Figure 1), according to Asian Banker Research. MoMo has two million registered mobile wallet users, accounting for approximately between 70% and 80% of the total mobile wallet market as of end of 2016. Its fee based revenue model is derived from merchant charges and the mobile wallet service provider claims it makes money on every transaction. “From our experience an e-wallet provider must have a network effect of a few million active users to make really an impact on the top line,” explained Ba Diep, vice chairman of MoMo. The initial rise of payment fintech players in Vietnam between 2010 and 2014 was driven by the expectation of a burgeoning e-commerce sector. But it became clear that the pool of customers that was making e-commerce purchases on mobile phone was not able to support the business model. The industry estimates that currently less than 7% of clients with a mobile payments application make online purchases. Subsequently, those players were forced to broaden the scope of their services to include consumer finance, insurance products, and gaming. M-Service, the company behind MoMo, has rapidly evolved its business model since 2007. It moved early into digital payments solution because it realised the limitations and cost of servicing customers via an agent-only model. It started to broaden the scope of services and build early key alliances with established players such as Vietcombank. Its strength is in offering convenience in doing consumer-to-business (C2B), business-to-business (B2B) and peer-to-peer (P2P) payments compared to the commercial banks. The company draws inspiration from payment services such as Alipay and WeChat Pay in China and aims to create a similar encompassing payment ecosystem in Vietnam. “M Service started out in 2007 and became the largest airtime top-up provider for all telcos in Vietnam at that time. However, the delivery and cash collection among the 100,000 top-up agents proved challenging and we began installing by 2009 a mobile payment platform (SIM card based e-wallet) which was a partnership with Vinaphone. We soon realised that a SIM card based e-wallet was good for agents to transfer money back and forth, but proved to offer a poor customer experience and was extremely difficult to upgrade to new versions. In addition, a SIM card based solution is proprietary to each telco, customers have to switch to a new operator if they want to use their respective e-wallets. To provide customers with much better products and a more friendly experience, MoMo decided to launch its e-wallet application on Android, IOS and Windows in 2014, despite the fact that smartphone penetration was low (under 20%) and 3G connection was limited. MoMo also handpicked 500 agents from its existing agent pool and trained them to be financial services providers. The company started to provide over-the-counter services, in partnership with Vietcombank. MoMo agents use e-wallets to provide payment and money transfer services to the unbanked population living in rural areas,” Diep elaborated. MoMo customers comprise roughly 50% mobile wallet users and 50% over-the-counter clients served by its agent network. It has a network of over 5,000 independent agents, through whom customers can load cash into their accounts, make withdrawals, bill payments and other financial transactions. It plans to grow its network eventually to 11,000 agents and more than seven million active e-wallet users. The potential wallet base for MoMo could be up to 15 million customers out of the current working population of about 40 million people. MoMo is targeting white collar workers in urban areas in the two major cities of Ho Chi Minh City (HCMC) and Hanoi, which have a combined retail banking customer base of about 12.5 million. “Smartphone ownership is growing briskly among its population of 90 million while, with one-quarter of the population aged under 25, there’s real potential for disruptive technology to gain mainstream attention,” said Diep. Today, MoMo offers a mobile wallet and payment app, the later launched in tandem with Standard Chartered Bank in 2016, and a “branch-less” banking service for those without a traditional bank account. MoMo provides 200 payments services across eight different categories out of which airtime top-up, money transfer, consumer finance, utilities, e-commerce and entertainment are the biggest contributors to revenue. Evidently, top-up continues to be big business. 90% of the population are using pre-paid cards. 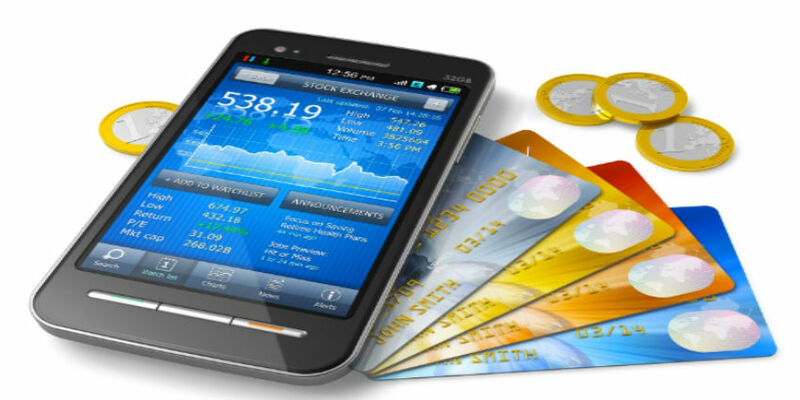 There are about 148 million top-up accounts in the market. “We wish to offer payment services to cater to customers’ everyday life. We would like to tap into unserved markets which mainly use cash for payment. For example, MoMo partners with insurers for insurance premium payments, with consumer finance companies to disburse and collect funds. In Vietnam, consumer finance has a market size of about $20 billion. Besides bill payment and top-up, MoMo also allows customers use it to buy movie tickets, airline tickets, as a virtual credit card for game credit and even booking a house cleaner for cleaning the house,” said Diep. MoMo’s success is also based on the banks’ inability to offer simple and convenient mobile payment solutions. A typical bank payment app takes up to a dozen steps to complete a transaction, MoMo brought this down to two (Figure 4). Local banks have launched hardly any mobile initiative in the last 24 months, partially because of the current nationalisation of the payments system which has created uncertainties for banks. They needed to make a choice between developing their own mobile wallets and a partnership with one of the larger e-wallet players in the market, that may generate small but recurrent fee income. For the banks, it is a matter of a little revenue versus no revenue at all. Today, MoMo’s mobile wallet app is compatible with all of the local telecommunication networks and is integrated with more than 24 local Vietnamese banks, as well as international payments networks including Visa, MasterCard and JCB. Standard Chartered Bank, which has launched its ‘Straight2Bank Wallet’ payments across emerging markets in Africa and Asia since 2015 has partnered with MoMo to allow corporate clients to make payments directly into their beneficiaries’ MoMo mobile wallet. MoMo’s 500 strong staff size is a fraction of what may be found at top-tier commercial banks, which have between three and four times the number of retail banking employees. About half of MoMo’s employees come from the technology side while the other half is in digital marketing. A Vietnamese bank has on average about 30 people in marketing. In 2013, Goldman Sachs invested $5.75 million into MoMo, and M Service raised another $28 million in series B funding from Standard Chartered Private Equity and Goldman Sachs in 2016. With two successful rounds of fund raising since 2013, MoMo will have enough muscles to invest heavily in growing its payments ecosystem and acquiring new or converting its existing customer bases. “MoMo is a technology company and we have seen a lot of players that want to copy us. The only way to get over competition is to build our products ahead of competitors with better user experience and to expand MoMo’s ecosystem. Investing in payment infrastructure is not an overnight game, it requires patience and financial capability,” said Diep. According to the Vietnamese Bankcard Association, in 2016, 83% of all automated teller machine (ATM) card transactions were for cash withdrawal. Less than 17% for money transfer, and only 0.3% value for POS payment. EFTPOS penetration per million population is half that of Thailand and five times lower as compared to Malaysia. MoMo is looking to take advantage of these conditions and use technology, and mobile in particular, as the vehicle for payments and banking. 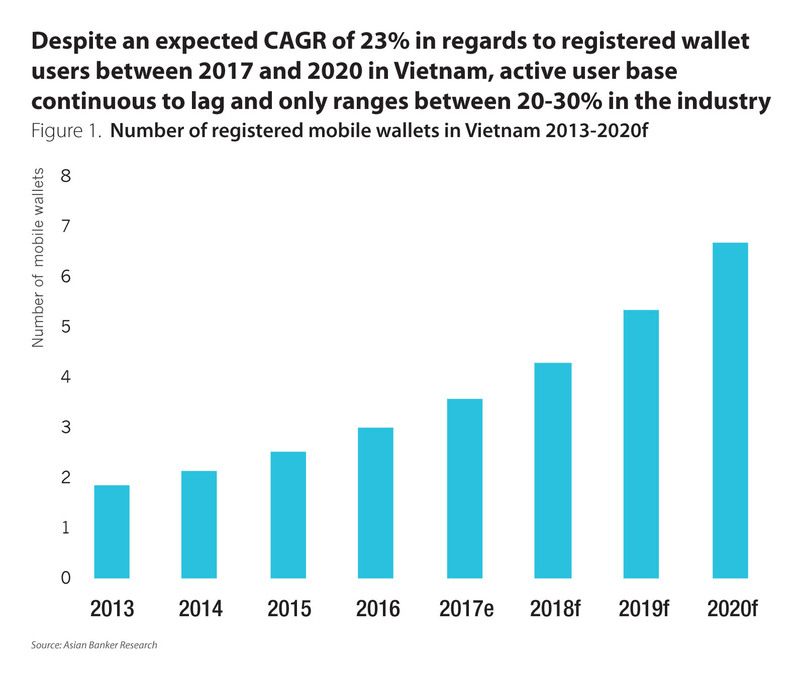 Card based payment wallets remain less popular in Vietnam as they require a credit or debit card which the lower income segments do not have but they do nevertheless require basic banking and payment services. While its current focus is on urban white-collar workers, it wants eventually to reach out with its e-wallet proposition to rural segments. Banking services don’t often cover remote areas, and MoMo wants to tap into existing micro cash payment behaviour without relying on formal banking institutions or infrastructure. In Vietnam, more than a dozen e-wallet players are fighting for a piece of the customer wallet. The existence of too many platforms competing for a small customer pool leaves many prone to selling out or shutting down, and industry consolidation has already started. At the same time, commercial banks are trying to rebuild their own digital propositions, such as VPBank with Timo and Maritime Bank with MEED. TIMO, which is an acronym for Time and Money, was launched in 2015 as a digital-only bank, operating with VPBank’s banking licence. VPBank operates the entire backend operating platform, while TIMO drives the value proposition at the front-end. MEED, a US based technology company that provides a global platform for financial institutions, provides the mobile banking platform for Maritime Bank. MoMo has the funding and the technological capabilities to stay ahead in the game but it needs to grow its customer base substantially to make a more material impact on its income and balance sheet in order to fend off any potential threat from the bigger players. However, the real and bigger fear may be the likes of mobile payments giants such as Alipay and Wechat Pay that have been active in the region, either directly acquiring merchants for their payment businesses or investing into e-commerce ecosystems.